Note: We are publishing below a guest column by Savas Michael-Matsas, Secretary of the EEK (Workers Revolutionary Party of Greece). For some background see our previous coverage of the trial of comrade Savas as well as our publication of his statement following the successful conclusion of the trial. Last weekend’s arrests in Athens of deputies and members of the Nazi “Golden Dawn”, including of its farcical “Fuhrer” Nikos Michaloliakos, following the murder of the young left wing antifascist hip hop artist and worker Pavlos Fyssas, is a clear sign of the deepening crisis of the regime in socially devastated Greece. Only a few days before the crime, leading government officials – including the secretary of the government, Takis Baltakos - and journalists in the pro-government bourgeois mass media – such as the Sky television channel - advocated the possibility of a future ruling coalition, after the next elections, between the ruling right wing “New Democracy” with a “more serious” (?! ), “more moderate” version of the same ‘Golden Dawn’. But the enormous popular anger following the murder of Pavlos by the Nazi gangsters operating under the eyes of the supervising local Police present at the site of the crime, as well as the international outrage with the role of the Samaras government and the Greek State, which left unpunished 4 murders and 400 serious injuries in one year by attacks of Nazi storm troops assisted by the Police, produced a politically unbearable position for the capitalist government. They have to act not out of fear from the menace represented by the criminals of “Golden Dawn”, their extra-institutional instruments of rule. They were frightened that the explosion of popular hatred could result in their losing control of the situation. As a matter of fact, the crime of September 18, the mass protest demonstrations that followed, and the arrests of September 28, do indeed signal that the ruling class is losing control of the situation while at the same time the working class still has not won control. The pre-revolutionary conditions in Greece are rapidly ripening. The murder of Pavlos came one week after the first wave of a strong strike movement in the public sector, and concurrent with another visit to Greece by the troika, who had come to dictate new round of attacks on the working class and the population as a whole. The trial of two prominent antifascists, the General Secretary of the EEK Savas Michael-Matsas and the former Rector of the National technical University of Athens Konstantinos Moutzouris concluded just two weeks prior to the murder of Pavlos Fyassas. That trial was brought on as a result of a lawsuit initiated by the Golden Dawn and supported by the repressive apparatus of the State. Thanks to a powerful international and national solidarity movement, the trial ended by declaring “not guilty” the two accused. It was the first trial that the “Golden Dawn” had lost after its ascent! But within moments after the conclusion of the trial the Police escalated their campaign of repression against the Left and the anarchists, accompanied by death threats by the “Golden Dawn” against the EEK, its Secretary and against the antifascist movement as a whole. A series of new violent assaults by the storm troopers culminated in the murder of Pavlos Fyssas by a Golden Dawn thug named Roupakias, in concert with a 50-man strong Nazi gang. the criminal role of the Greek government and the State, in addition to that of its Nazi watchdogs. The Samaras government had no other option than to act. But no illusions should be nurtured over a government where the ruling, closed circle of “advisors” around the Prime Minister is composed of well known far right nationalists, and vicious anti-Semites (T. Baltakos, Chr. Lazarides, Failos Kranidiotis etc. ), Within this circle one can even find former leading members of Greek Nazism (Makis Voridis, spokesperson of the parliamentary group of the New Democracy, the Health Minister Adonis Georgiadis, his close co-thinker and “adviser” Thanasis Plevris, son of the notorious guru of Greek Nazism Kostas Plevris, and now appointed by Samaras as Vice-Chairman of the National Organization on Pharmaceuticals). No one should feel secure or complacent knowing that the Nazis have important positions and strong influence inside the Police, the secret services, and the Army. The government itself not only covers up for the Nazis within its midst but it also deliberately uses the current arrests of the most prominent elements of the gang to introduce new anti-democratic legislation and impose measures against the Left in the name of “the fight against extremism, both right and left”. Above all, the deterioration of the material social and economic conditions that helped the ‘Golden Dawn” become the third most influential bourgeois party in the country are still here. And according to the latest polls the Golden Dawn remains in that position, even after the murder of Pavlos: the capitalist systemic bankruptcy, the measures of social cannibalism imposed by the troika of the EU/ECB/IMF, the decomposition of a discredited bourgeois parliamentary system. To open the road for a socialist way out from the crisis with the workers and oppressed taking power, and re-reorganizing society on new social bases. Either Socialism or barbarism! We think Savas’s analysis of the current political dynamics in Greece following the arrest of members of the neo-Nazi Golden Dawn organization is an important contribution to our understanding of the crisis facing the working class both in Greece and internationally. 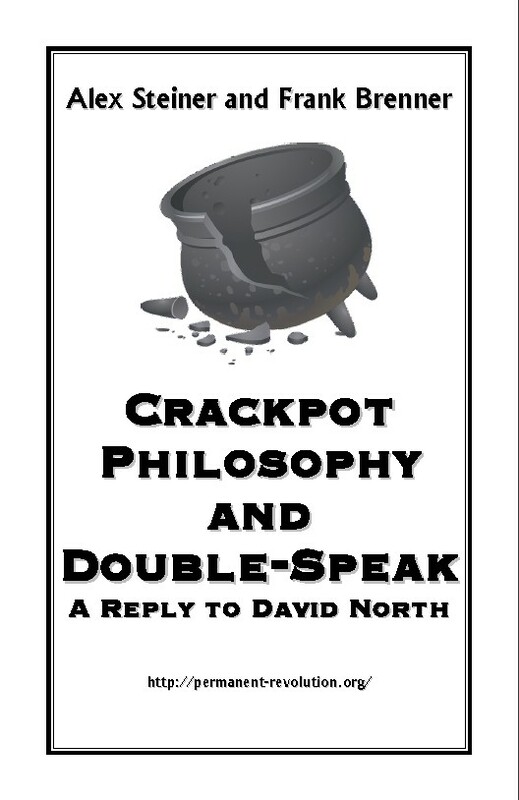 If the troika, European capital's agents for imposing brutal austerity measures on Greece, along with the assistance of their collaborators in the Greek government and their neo-Nazi shock troops, succeed in turning Greece into a third world country, then such may soon become the fate of workers in Spain, Portugal, Italy, Ireland – and then no worker on the planet will be safe from such brutality. In that sense Greece has become the front line of the class struggle internationally. However we think that an analysis of the situation in Greece ought to examine the role of the Left as well as the machinations of the Greek government and the Right. In particular it is important to raise some questions about the role of SYRIZA. As the largest opposition party in Parliament, and claiming to represent the aspirations of workers who have said "NO" to the troika, SYRIZA bears the biggest responsibility for the state of readiness among workers, youth and progressive intellectuals for the coming struggle. Yet time and again the leadership of SYRIZA has betrayed the trust of their political base and fostered illusions about the possibility of reaching an accommodation with the troika and the government. True to form, the leader of SYRIZA, Alex Tsipras, was quoted following the arrest of Golden Dawn members, that this action by the Greek government demonstrates that democracy is alive and well in Greece. Making such nonsensical statements in the face of the evidence (summarized in Savas’s piece) that the government is saturated through and through with supporters of the neo-Nazis, does nothing but disarm the working class. It is exactly the opposite of what is needed. 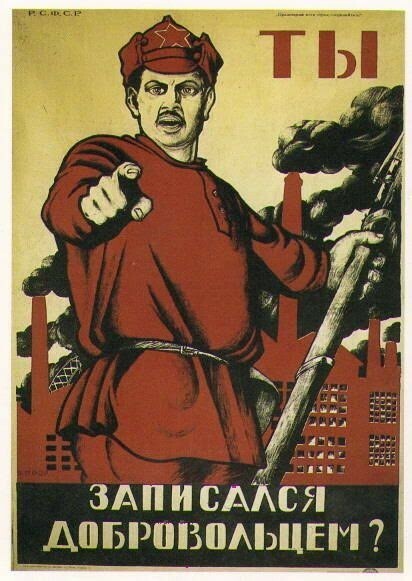 Rather than teach the working class to rely on its own autonomous organizations, such as self-defense militias, in the struggle against fascism, the leadership of SYRIZA would have the working class place their faith in a non-existent consensus about “democracy” within the leadership of the right wing government. As the history of the rise of fascism in Europe in the 1930’s has shown, that is a formula for disaster. The recent release of three members of the Golden Dawn who were previously arrested makes evident to anyone not willfully blind that the Greek government has no intention of seriously reigning in the Golden Dawn. In Greek SYRIZA stands for Coalition of the Radical Left, but it is painfully obvious by now that there is nothing radical about SYRIZA. Unfortunately, the same isn't true for the political situation in Greece – which is radical in the extreme. It is therefore important to place the role of SYRIZA and other organizations of the Left under the microscope of Marxist critique in addition to following the gyrations of the ruling class. 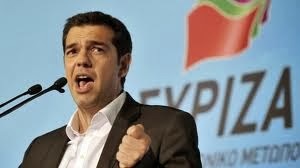 "During the arrests, Alexis Tsipras, the leader of SYRIZA, was in Brusells meeting with leading members of the European Social Democracy and of the EU, trying to build up his image as a future prime minister of Greece, acceptable by those capitalist leaders in the West who still consider him as a dangerous person leading a radical left formation threatening their interests. 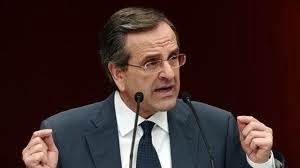 His response to the recent events, was not only an attempt to demonstrate his loyalty and advance his credibility in front of the leaders of EU imperialism but also it was a declaration of faith to bourgeois democracy, which, under the impact of the world capitalist crisis, is rapidly disintegrating in Greece and internationally, and it was, above all a genuflection in front of the bourgeois State. When three of the most notorious Nazi leaders of the Golden Dawn were released by the judiciary investigating the case - a provocative action that took even Samaras by surprise while he was visiting the US and produced a public uproar at home- Tsipras declared again: "I have full confidence to the Greek Justice and to the [State] institutions". It was not a surprise to us, in the EEK, as we always clash with SYRIZA, which, among other things, rejects any proposal to build Workers Defense Guards against the fascist gangs and State repression.The reformists and the Stalinists are completely legalistic, although they are very well informed, as is everyone else in Greece, especially following the recent revelations following the murder of the left antifascist rapper Pavlos Fyssas, that there is a close connection between the State, the "Golden Dawn" Nazi storm troopers and the mob." 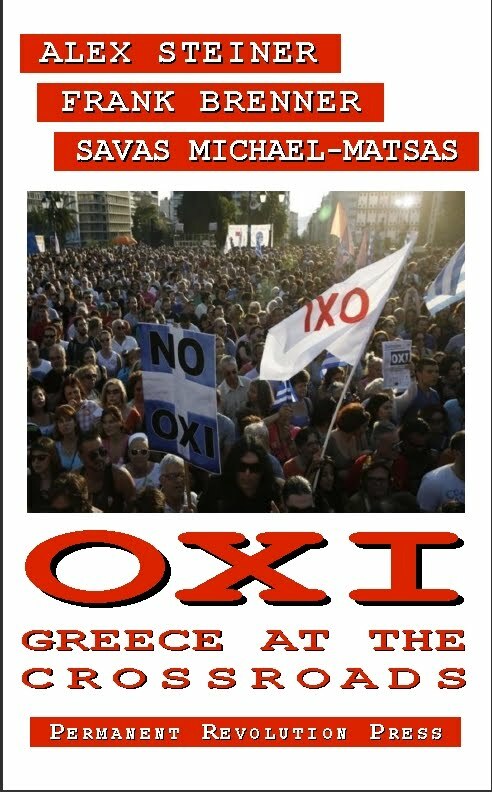 We hope that the publication of Savas’s analysis will generate debate and discussion both in Greece and internationally.